Do you currently use EHR-EMR software? According to a 2016 release of the National Electronic Health Records Survey, 87 percent of office-based physicians have adopted electronic health records software, more than half a decade after the implementation of the American Recovery and Reinvestment Act and the accompanying HITECH Act of 2009. The purpose of the HITECH Act was to spur the adoption of not just electronic health records, but of healthcare IT in general. The reasons for this are tied to lowering the price difference between the U.S. healthcare system and her peers in other developed countries. The U.S. healthcare system now eats up 17.8 percent of the country’s gross domestic product, or an estimated $3.2 trillion. While these statistics may not be new to the healthcare community, they’re still at the forefront of the push for health IT and medical software adoption. CMS’s EHR adoption rates are promising, but examining Meaningful Use attestation numbers by specialty leaves much to be desired. Based on recently released numbers of eligible providers who have received Medicare payments, specialties lag behind primary care, family care, and internal medicine. There’s conflicting research on the effectiveness of EHR software, and some studies have found that new types of medical errors may emerge from improper EHR implementation and use. However, a study published in the Journal of Internal Medicine found that in 56 percent of cases EHR usage correlated with significant improvement in at least four healthcare measures. The general consensus around EHRs in the US remains that implementation for on-premise software remains costly and negatively affects productivity for a certain period of time, but that if the EHR software is configured correctly, it can significantly improve the prevention of medical errors. Cloud-based EHR can offer even greater versatility without the massive upfront cost burden. This guide examines the most common tools used during Meaningful Use attestation and explores how they contribute to improving quality of care. Additionally, it will provide an overview of what the best EHR software providers include in their offerings today. Which EHR EMR solution is right for your practice? CPOE is an EHR function that allows medical professionals to directly enter medical instructions and treatment orders. Physicians can enter orders at the point of care or off-site and those orders are then transmitted to the proper departments for execution or fulfilling (pharmacy, laboratory, and radiology). CPOE helps prevent prescribing errors, which are the largest identifiable source of preventable hospital medical errors. 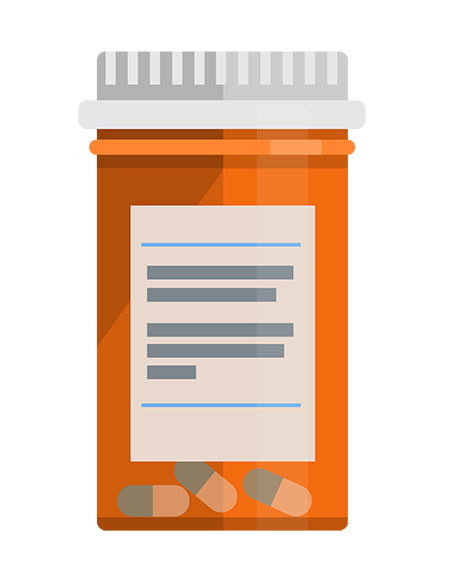 CPOE can check problem lists as well as medication lists in order to make sure that physicians aren’t prescribing harmful substances to patients. Evidence from an early, monumental study by the Harvard School of Public Health suggests that CPOE can reduce adverse drug events by up to 80 percent, while reducing serious medication errors by 55 percent. More current studies have found mixed results, though mostly positive. A 2014 meta-analysis published in the National Center for Biotechnology Information found that, in hospital settings, CPOEs were responsible for 50 percent fewer preventable adverse drug events. Because treating ailing patients often requires medication, CPOE has become standard fare in many EMR vendors. This feature enables physicians to place pharmacy, laboratory, and radiology orders at the point of care. The electronic medical records software then pushes those orders to the appropriate departments or pharmacies for execution. 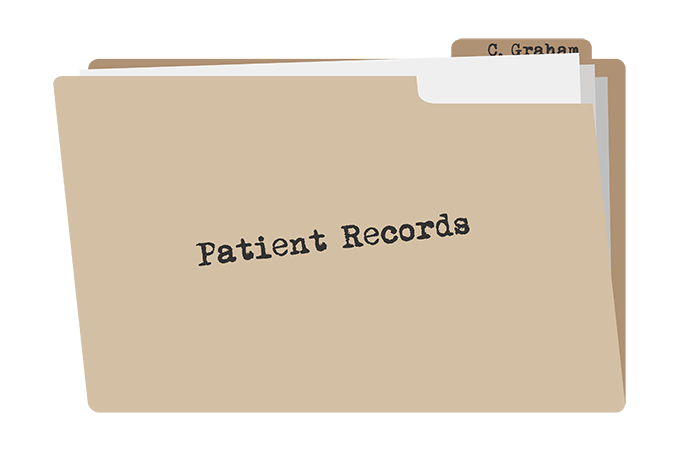 CPOE helps physicians avoid common medical errors associated with paper records. Working in conjunction with clinical decision support systems, CPOE can scan a patient’s problem list as well as their medication list to ensure that the correct medication is assigned, that unnecessary treatments aren’t performed, or that dangerous doses of necessary medication aren’t administered. According to CMS data, 83 percent of the eligible professionals who successfully performed core objectives between 2011 and 2013 used CPOE to order medications. Over 90 percent of pharmacies are set up to receive electronic orders from CPOE systems. To comply with Stage 2 requirements, eligible providers must use CPOE to place at least 60 percent of their medication orders, 30 percent of their laboratory tests, and 30 percent of radiology tests. A 2008 Massachusetts Technology Collaborative and New England Healthcare Institute study showed that one in 10 patients admitted to MA community hospitals suffered preventable medical errors. The researchers estimated that MA hospitals could prevent 55,000 adverse drug events and save $170 million a year by fully implementing CPOE. A study published in the Journal of American Informatics Association found that when prescription drug orders were processed through a CPOE system, the likelihood of error decreased by 48 percent. The introduction of new technology can also introduce new types of errors and in some cases actually make entry time slower. Also, in emergency situations, CPOE is slower than person-to-person communication. Physicians should also be aware of alert fatigue, a term describing the tendency of physicians to ignore some alerts when presented with excessive numbers of them. Patient portals are online applications that allow patients to access their electronic medical records and interact with their healthcare providers. 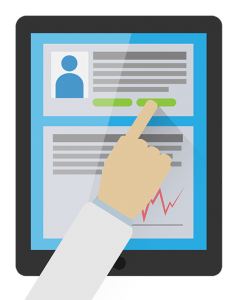 Patient Portals are usually standalone applications that integrate into the existing site of a healthcare provider, but they can also exist as modules that come included with EHRs. Some allow patients to register for office visits and complete check-ups as well as request prescription refills online, order eyeglasses, contact lenses, access medical records, pay bills, review lab results, and schedule medical appointments. Patients can also connect directly with providers by leaving comments, asking questions, or sending messages. The financial benefit of patient portals has yet to be demonstrated. However, patient portals are an excellent medium for physicians to increase patient engagement, and boost patient retention. Vanderbilt University’s patient portal, My Health at Vanderbilt, has seen patient enrollment increase from 22,000 in 2006 to over 200,000 in 2013. Patient portals typically only connect to one healthcare provider, meaning that patients with multiple providers will likely have to access separate portals. Compliance with HIPAA regulations are also a risk factor in employing patient portals, but any reputable vendor will be able to ensure compliance with federal privacy standards. Stage 2 requires that at least 5 percent of patients view, download, or transmit their electronic health records through a patient portal. Providers have expressed doubt regarding their capability to drive that level of patient engagement with patient portals, but the previously cited Vanderbilt use case highlights that patients generally react positively to patient portals. A Health Affairs study of personal health records found that 64 percent of physicians said they had no experience using these tools to communicate with patients. 42 percent of respondents said they would be willing to use personal health records in their practices, while 24 percent disagreed, and 34 percent were neutral. However, a 2012 KLAS study found that 57% of providers had already implemented patient portals. Accenture conducted a survey in 2013 regarding the state of access patients had to their health records. The study spanned 9 countries, but Accenture found that roughly 36% of American patients had complete access to their health records in electronic form. This same study also found that 41% of patients would switch providers to have more complete access to their health history. Clinical decision support systems serve as quality checks that help physicians avoid adverse events due to prescription errors. They can be standalone applications or can be embedded within a CPOE. CDS systems fall into two main categories: knowledge based and non-knowledge based. Knowledge based CDS systems follow logical IF-THEN scenarios,or rules, which reference patients’ medication lists and problem lists to determine whether a physician’s recommended treatment conflicts with a medication the patient is currently taking. Non-knowledge based CDS systems rely on machine learning that allows the program to adjust its recommendations based on past experiences. Non-knowledge based CDS systems can identify treatment patterns and reference best practices and current search to make recommendations that support a physician’s decision making process. In theory, the longer a physician users a non-knowledge based CDS, the more effective the program will become at spotting potential adverse events. When a CDS system finds a conflicting result, the software alerts the physician that his diagnosis may be in conflict with best practices, or a condition on the patient’s problem list. Additional CDS features include overdue reminders for preventative tasks, advice pulled from best practice guidelines, and suggestions for how to resolve various active care issues. A 2005 systematic review of CDS software found that it improved physician performance 64 percent of the time. However, the Annals of Internal Medicine recently published their own systematic review which cast doubt on the effectiveness of clinical decisions support systems to improve physician performance. Opinion still seems to be divided across the industry as the Journal of the American Medical Association found a positive correlation between CDS and physician performance in their systematic review. Meaningful Use Stage 2 requires that providers implement five CDS rules related to at least four clinical quality measures utilizing drug-to-drug and drug-to-allergy rules to prevent adverse events. According to Black Book’s 2013 review of seven different polls, first generation EHRs have not been living up to physician expectations. Significantly, 60 percent of respondents reported being dissatisfied with how their EHR system affected their practice workflow. Physicians also reported spending 44 percent of their time using their EHR system, compared to 28 percent of their time with patients. EHR change frequently occurs when private practice physicians join larger hospitals or integrated health systems. In such cases, the acquiring party will often push for a new EHR to be adopted. Regardless of the motivation for switching to another system, the previous experiences of doctors and other EHR users provides an evidence base from which to make more informed purchasing decisions. Specialists often require more focused systems than primary care physicians. For instance, specialists often see a narrower selection of patients, so they don’t need charting features that cover a wide range of possible conditions or E&M coding assistance for treatments they will never administer. Specialists often simply need less functionality so they can do more, faster. If an EHR system has specific charting templates for that specialty, the physician will spend less time sorting through unnecessary functions, and more time with the patient. Certain specialties, such as ophthalmologists, are particularly unsatisfied with the current crop of first generation EHR systems, as evidenced by their ranking on a recent KLAS survey. Over half the specialties polled were at least 10 percent less satisfied with their EHR systems in comparison to internal medicine and family medicine. Oncologists and Ophthalmologists were the least satisfied specialties. As the EHR market matures, systems will likely begin to emerge that support only one or perhaps only a few different specialties. This could result in highly tailored, and highly efficient software. If specialists can’t find an EHR specific to their patient population and treatment patterns, the next best option is finding a general EHR that allows for heavy customization. Customizing EHR software is often necessary to bridge the gap between a workable EHR, and a highly effective one. Physicians working in specialty specific, solo, or private practices will have greater freedom when choosing an EHR than physicians tied to an integrated health system, although there is evidence that suggests such systems increase the overall efficiency of EHR systems. While adoption rates among some types of EHR systems has reached nearly 80 percent nationwide, a significant gap exists between smaller practices and their larger counterparts. A Commonwealth Fund study showed that solo practices are only now reaching adoption rates that approach 50 percent. The main differentiator? Price, of course. The same study isolated price as the single most powerful obstacle to small and solo practices adoption of EHRs. However, new, more affordable options are entering the market that will help solo practices compete. Currently, the market is divided into two segments: cloud-based EHR software and on-premise or server-based software. Server-based software is the most traditional EHR solution, and often requires purchasing new hardware, setting up private servers, and manually maintaining updates. EHR vendors often send implementation specialists directly to offices to help with setup and training. Although more expensive, on-premise software typically allows for a wider range of customization, which could be appealing for specialists or multi-specialty practices. In contrast, cloud-based EHR doesn’t require practices to implement a server, because the EMR software is hosted by the vendor. Additional hardware isn’t required expect perhaps for laptops or tablets. And since these types of products work on monthly subscription fees, upfront costs are much cheaper as well. However, after a certain amount of time, it’s possible for subscription fees to actually exceed the licensing cost of an on-premise option. Adoption rates between the two system types vary widely by region. For example, the majority of New Jersey’s regional extension center (REC) members in practices of three or less doctors, which makes up about 60 percent of the RECs membership, have adopted cloud-based EHRs. In contrast, only 17 percent of members in Kentucky’s REC have chosen cloud-based EHRs. Several cloud-based EHRs have emerged featuring free service models, most notably Kareo and, until 2018, Practice Fusion; however, following Allscripts’ purchase of Practice Fusion in a $100 million deal in February 2018, their new owners have moved away from a free model to a $100 a month fee per physician. Sharing health information is important not only for building complete patient histories, but also for supplying providers with accurate and timely information at the point-of-care. In paper-based systems, medical information may be missing or incomplete, which leads to preventable medical errors that can endanger patients. An interoperability model where two health information systems can exchange data without either system interpreting the data in an advanced way. This is purely data transfer from one system to another. Two or more health information systems can exchange data and can also interpret it by data field. This means each system can understand what type of data it’s looking at based on Health Level 7, which is the standard for exchanging health information between clinical systems. This is the most complex level of interoperability, and also the most desirable. Semantic interoperability allows health information systems to transfer data and interpret its meaning, such as the transfer of clinical notes. Semantic interoperability is difficult because healthcare terminology is fragmented, and clinicians often refer to the same procedure in different ways. Since individual EHR vendors receive little value for providing interoperability, they’ve mostly created systems that don’t interface with other EMR. This means that a universal health information exchange (HIE) right now would have to be almost exclusively composed of one EMR software system. Obviously such a solution is untenable, and the US government seems to recognize this. For healthcare providers, choosing a system that supports interoperability is becoming less and less of an option and more of a requirement. Interoperability sets the stage for the formation of HIEs, most of which currently exist on the state level. One of the main goals of Meaningful Use is to expand HIEs to a national level so providers can exchange health data across state lines. 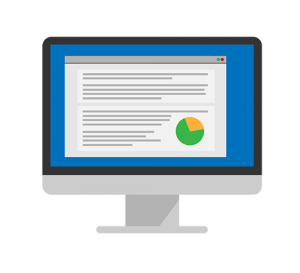 When choosing an EHR, make sure to select a system that’s Meaningful Use certified by the Office of the National Coordinator for Health Information Technology. The ONC developed the testing methods for Meaningful Use Stage 2, so any EHR with their certification should have the required amount of interoperability. A recent Commonwealth Fund study found that 33 percent of primary care physicians could share clinical summaries with other doctors, while 35 percent could share lab or diagnostic tests with health information systems outside their practice.